This revised edition of this extremely popular introduction to social theory has been carefully and thoroughly updated with the latest developments in this continually changing field. Written in a refreshingly lucid and engaging style, Introducing Social Theory provides readers with a wide-ranging, well organized and thematic introduction to all the major thinkers, issues and debates in classical and contemporary social theory. Introducing Social Theory traces the development of social theorizing from the classical ideas about modernity of Durkheim, Marx and Weber, right up to a uniquely accessible review of the contemporary theoretical controversies in sociology that surround post-colonialism, gender and feminist theories, and public sociology. 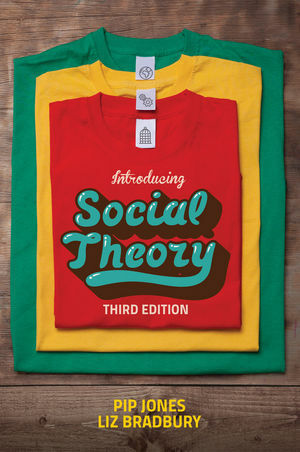 The ideal textbook for students of sociology at all levels, from A-level to undergraduates, Introducing Social Theory is remarkably easy to follow and understand. This new edition lives up to its predecessors' goal that students need never be intimidated by social theory again. -General updating of references, literature and examples, with additional particular attention to theorists such as Lois McNay, Zygmunt Bauman, Judith Butler, Arlie Hochschild and Carol Smart. "This is a real treasure. This revised edition continues to focus on essential and practical aspects in major sociological theories. It introduces to readers - with clarity and succinctness - interlocking debates and themes in these theories. Moreover, it provides new exploration on theoretical practice in relations to public sociology and the uncertainties of modernity. I remain highly impressed!" "For a first taste of the complexity and richness of social theory, this book is excellent. This third edition includes discussions of cutting-edge material. Strongly recommended!" "This is a cool, charming book students and lecturers will enjoy from cover to end."